I've written the same intro to a PES review a ton of times before in the years I've been reviewing games. Trying my best to mix things up a little for this one, I'm going to try my hardest to not mention that the other football game in this battle has been coming out on top since around PES 06 came along and turned many off the series. Nor am I going to mention that PES over the last few releases has started to pull some of that fanbase back, with some great improvements to a series that was once much loved. I Will tell you however, that I loved PES 05 to absolute bits. With it still in my eyes being the game that took me online in the very early days of owning my original Xbox. But things needed to change with PES, so I was hopeful that maybe this year might be the one (I say this to myself every year, so don't hold your breath). I opened up this PES review package when it showed up last week to find it also having a two-sheeted press release telling me how things have been improved from PES 2016, and how this was the best PES game to date. We've heard this sort of thing tons of times before in a press release mind you, so no amount of positive wording can tell me how great a game is, as all I need are a few minutes holding the pad and playing a few matches to know if things are still on the up. From about PES 15 things have slowly started looking up for the game, with it once again feeling like the series was clawing back some of that respect it had lost with some of its older fanbase who had since moved over to play elsewhere. So I've sat down for a few days this week, to see if PES 2017 has taken any strides in taking a challenge to the now dominating FIFA series. Now, before I talk about the modes available and everything else that the game has to offer, there is just something I need to touch upon quickly. While it's not a major issue in the grand scheme of things, it's something I feel needs to be addressed at some point in the hope someone feels the same way. The menus in recent releases and now PES 2017 are without a doubt the most dated menus I've seen in a while. Be that the pause menu mid-game when you want to bring a quick sub on, or even the basic and dull main menu you see below. It may add to the underdog charm the game now has, but to me it just feels very bland for what is supposed to be an exciting sport. Like I said, it isn't a major issue, but something that certainly needs looking at in the next game. Show us some glitz and pizazz Konami will you. Away from the dull dated menus, the game modes are what you've come to expect from a football game these days, but that's not to say they don't do a great job. While nothing is new here for a guy who has done nothing but dip in and out of PES for the last few years, it offers just the same amount of modes as its nearest competitor, all be it without the glamour if truth be told. Master league, MyClub (that's PES's take on Ultimate team for those not in the know), and Be a legend being the modes I've found myself drawn to the most while playing this game for review. 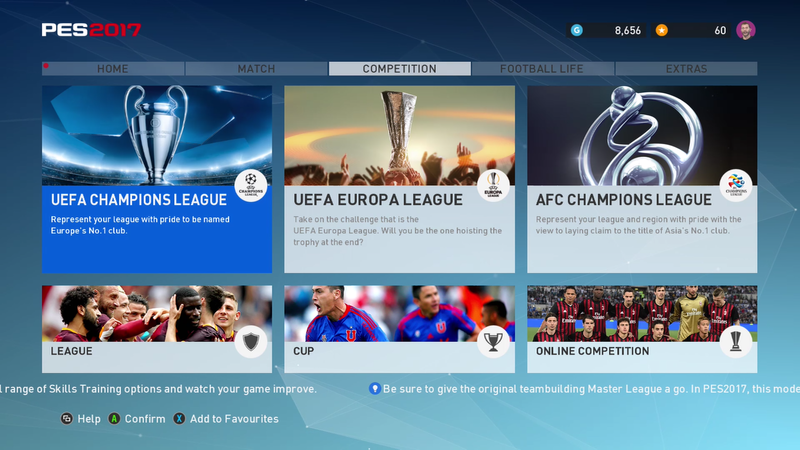 You have modes like Champions league and the Europa league to play too, and not forgetting a ton of online options and smaller cups and things to mess about with as well. Like I say, they all do a good job of offering something. But while playing these modes of course licencing issues do take away some of that shine. For me, this is the only downside to PES, and what I believe is the overall reason it has played second fiddle to FIFA all this time. 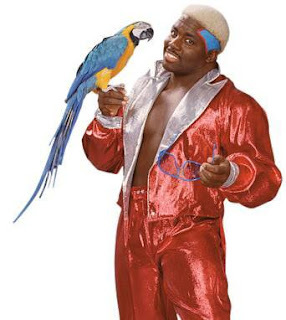 Away from me having to play as West Midlands Village, and also trying to ignore the fact that players such as Jordan Ayew look like the younger brother of WWE hall of famer, Koko B. Ware for some odd reason (See below to see I am 100% correct), Konami this year have added a few more teams into the mix with full licences, but still nowhere close to what the other games out there offer in terms of leagues, teams and all round likeness when it comes to players. 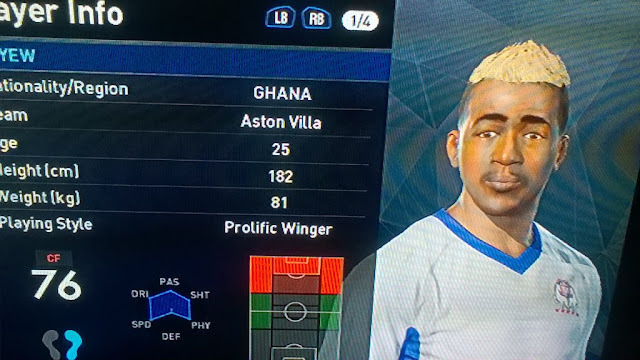 You would think Konami would put this at the top of their list with not being able to use teams names and such, as surely getting the players to look a little like the actual player in big teams (Villa are still a big team in my eyes damn it) would be the top priority. This is not the case at all sadly. It's a crying shame that licence issues are what stop PES 2017 from being able to be a true contender against its main competitor, as behind all those made up names is a game that plays really well, and one I actually enjoyed playing this year. Sure it's far from perfect, but the matches I've played both offline and online have been enjoyable, so enjoyable that I can see myself playing PES a little longer than just for this review this year. Modes like Master league and MyClub are a vacuum for time, with me easily losing two hours within what felt like minutes when loading either of them up. In regards to MyClub, while it doesn't have the presentation of Ultimate Team on FIFA, it's still been a mode that I've enjoyed spending time on. But then again who wouldn't have fun in a mode where they unlocked Lionel Messi very early on? 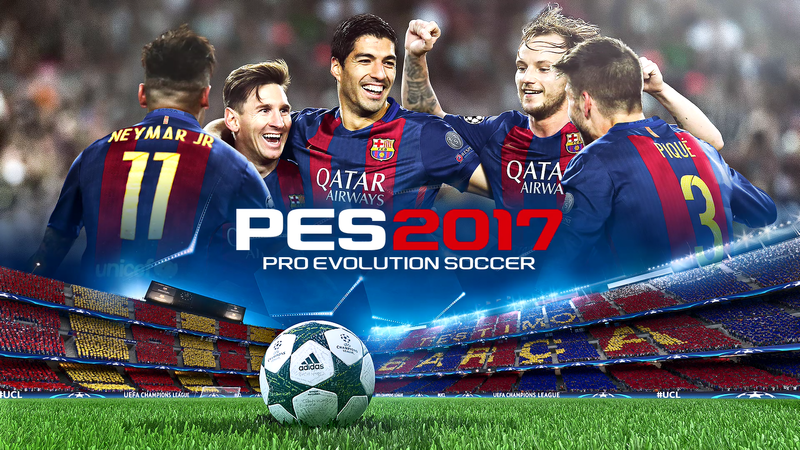 Overall: PES 2017 has been a fun and rewarding football game to play for this review and one that will continue to be even when this review is done with. Lack of official team names and players looking a little bit dicey will however take something away from the game no matter how hard we try to deny it. 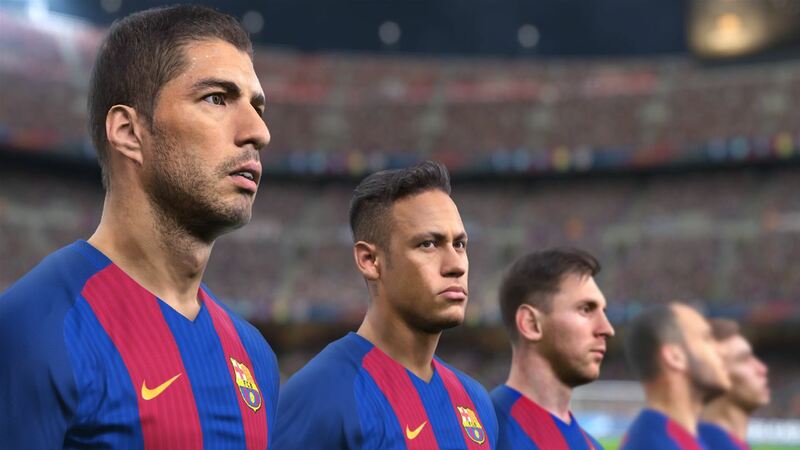 Behind all the weird team names and facial scans though, I honestly believe that PES 2017 could push FIFA close again this year. I guess we find out how close at the end of the month. Licence issues are still the downside of the series.